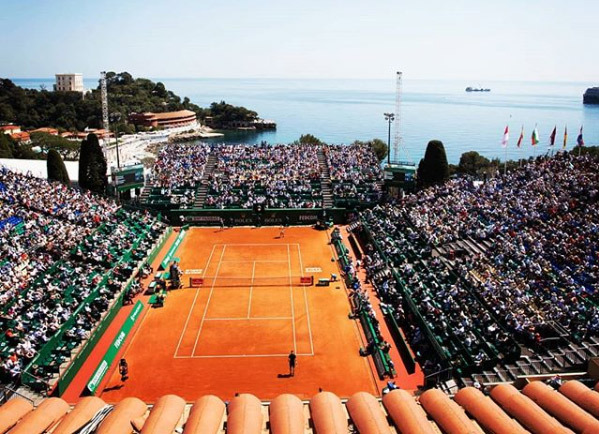 The first Sunday of any tournament is generally reserved for qualifying action, but that is not the case at the Monte-Carlo Masters. Main-draw action is coming, and it begins with a couple of intriguing showdowns: Lucas Pouille vs. Stan Wawrinka and Borna Coric vs. Hubert Hurkacz. Ricky previews the action and makes his predictions. Wawrinka and Pouille will be squaring off for the first time in their careers. Pouille made a run from completely out of nowhere to the Australian Open semifinals, but 2019 has otherwise been a disaster for the 31st-ranked Frenchman. In fact, he has not won a single match at any other tournament–losing right away in Sydney, Dubai, Indian Wells, and Miami. This certainly is not a favorable opening draw in Monte-Carlo, where Wawrinka is a former winner (2014) and has made four other trips to at least the quarters. The veteran Swiss is making his way back from knee problems in commendable fashion, sporting a solid 11-7 record this season that is highlighted by a runner-up performance in Rotterdam. Hurkacz has already become one of the breakout stars on tour this season. The 22-year-old Pole started making a name for himself last season, but he is now taking things to a whole different level. Hurkacz has already upset Kei Nishikori twice this season, first en route to the Dubai QFs and then on his way to a quarterfinal run in Indian Wells–where he also beat Pouille and Denis Shapovalov before bowing out to Roger Federer. Up first for him in Monte-Carlo is Coric, and they will also be going head-to-head for the first time ever. Coric has been unspectacular this year after finishing as an alternate at the World Tour Finals in 2018. The 13th-ranked Croat is 9-5 with a fourth-round performance at the Aussie Open, a SF run in Dubai, and a quarterfinal result at the Miami Masters (lost to Felix Auger-Aliassime, who also defeated Hurkacz). Clay, on which Hurkacz has played a lot in Challengers but sparingly at the ATP level, should give Coric enough of an advantage to survive a hard-fought battle.